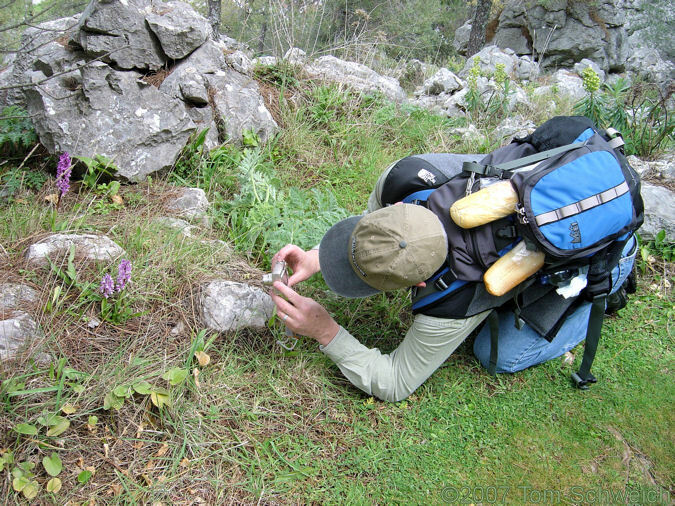 Photo: Tom photographs an orchid on the trail. Eastern Mojave Vegetation Tom photographs an orchid on the trail. Other photos about Spain - Andalucia or Grazalema.